“I think it’s a story of bravery and a story of love for this place,” says Martha Kongsgaard at the beginning of the video on this page. 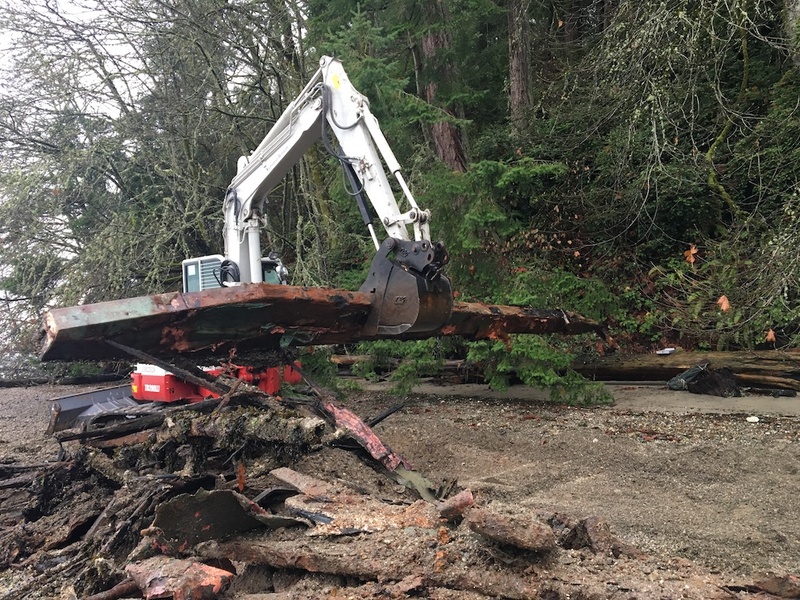 Kongsgaard, chairwoman of the Leadership Council of the Puget Sound Partnership, is celebrating the removal of a massive bulkhead on Bainbridge Island. The removal, known as the Powel Shoreline Restoration Project, occurred in the fall of 2012. 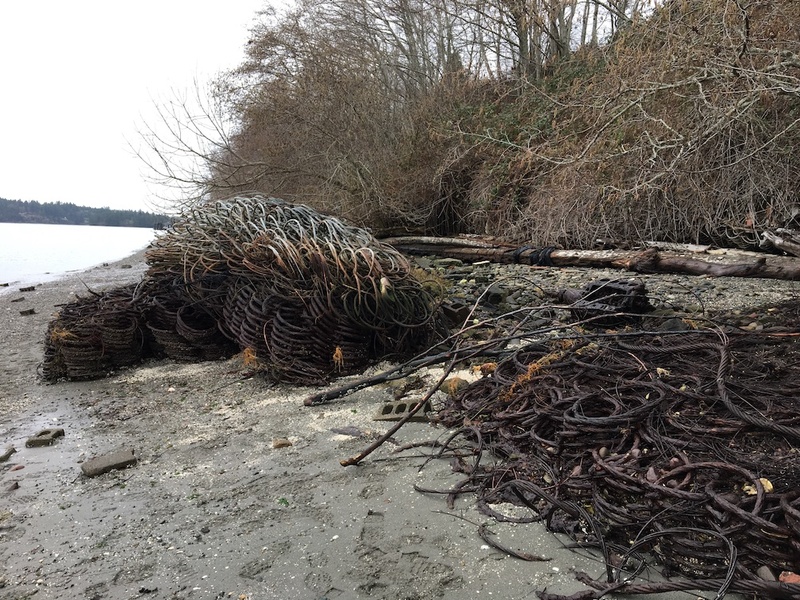 The outcome was to reconnect a saltwater marsh with the lower shoreline by removing 1,500 feet of man-made bulkhead from property owned by the Powel family. Reporter Tad Sooter covered the story for the Kitsap Sun (Aug. 30, 2012). It turned out that removing the bulkhead was less costly than repair — but not by a whole lot. Still, restoring the natural conditions provided tremendous ecological benefits without creating undue shoreline erosion. The video, by Quest Northwest reporter Sarah Sanborn, shows the excavation in progress and explains why we should celebrate the project and the Powel family. But my favorite part is a slideshow on Sarah’s blog, which shows before and after photos of the shoreline. It is easy to imagine why fish, wildlife and other creatures would prefer the more natural condition.